Laser Pain Center provides cutting edge FDA cleared treatment with long-term effects. Where others have failed, we succeed! At Laser Pain Center, You Have Nothing To Lose But Your Pain! Robotic Deep Tissue Laser therapy is a revolutionary advance in the world of medical technology. Medical lasers work by stimulating reactions within cells to promote your own natural healing process. This healing causes a reduction in inflammation and pain, making laser therapy a two prong approach, managing symptoms and healing injuries in a single treatment. Effective as an alternative to surgery or primary treatment option for a wide variety of conditions, laser therapy has provided relief from chronic and acute pain to many who believed they were out of options. Dr. Metzger is wonderful! He took a lot of time to thoroughly examine me and then gave an in depth explanation of my health issues, my x-rays, and the plan he created for me. "At 26 I had a Spinal Fusion at L5/S1. 8 months after my surgery I was still in constant in pain. After visiting Dr. Metzger a few times I feel so much better. I finally feel normal again! He personally cares for everyone he sees and wants you to be the best you can be. He has helped me more than he knows." "After almost 2 years of back problems and seeing multiple doctors with no relief, I decided to make an appointment. Thanks to the care of Dr. Metzger and acupuncture with Tara, I am finally finding relief and feeling better!!!" "I appreciate the focus on overall health with a holistic approach. Also, if you have considered acupuncture, do yourself and your body a favor. Great team and environment! I recommend it highly." "Dr. Adam and Tara do a great job and are very caring and friendly. They work well as a team to get you healed up and back to a pain free life." "Best care, great equipment, genuine and excellent physicians! I recommend them highly!" "Being a veteran and not having decent health care in the past 7 years, it sure is nice being able to go and actually feel something happen. I can now sit and do my college coursework without having to constantly take Motrin." 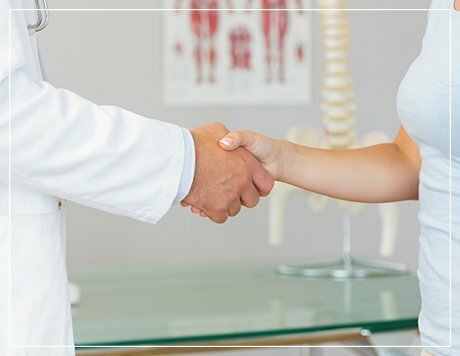 "My visit with Dr. Metzger was very successful and resolved my lower back problem that I'd suffered with for years. Highly recommend!" Call today to discover how Laser Pain Center can help you!